And more importantly… MINI potatoes! Have you seen these at your local grocery store yet? 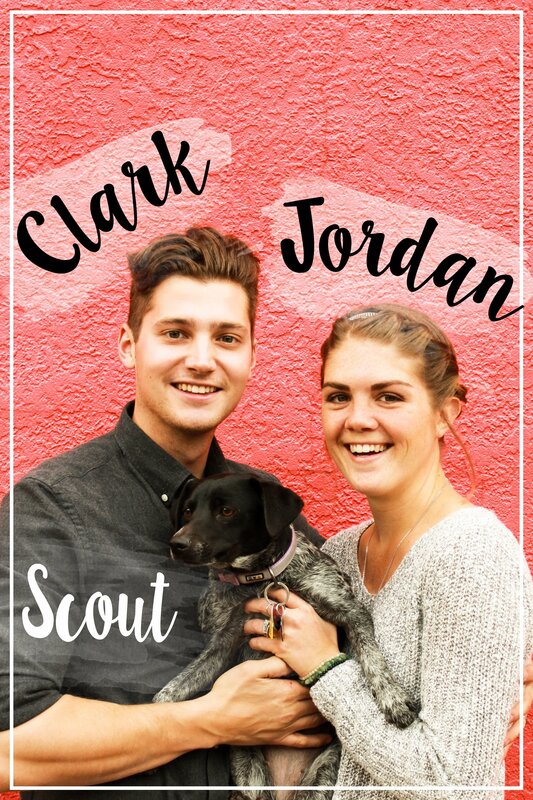 They just showed up at our Trader Joe’s and they are adorable, not to mention delicious. They’re naturally buttery, tender, and they cook so quickly. () When you top them with minced garlic and a drizzle of olive oil, they turn into crispy, savory side dish heaven. I don’t know if the fact that these potatoes are itty bitty actually makes them taste better, but it does make them cuter and I think cuter is always better. 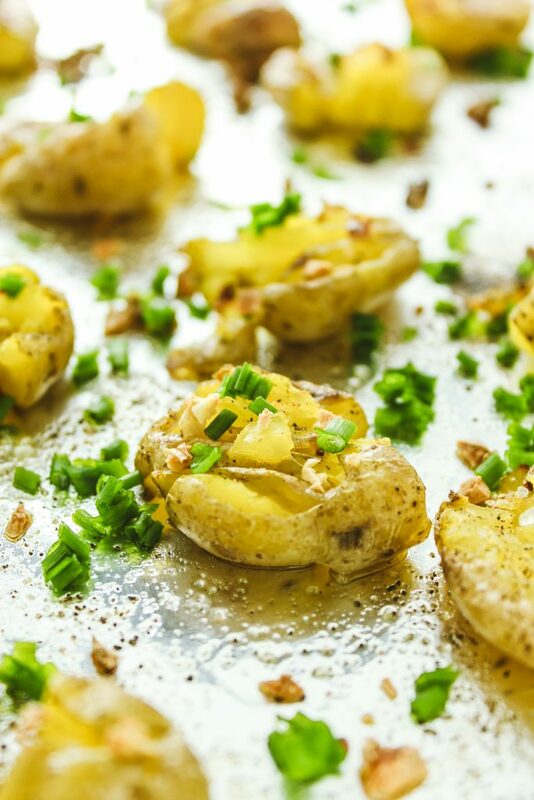 If you can’t find mini potatoes, just opt for regular-sized yukon golds instead. I love this recipe for its straight up simplicity. Boil, smash, broil, EAT. We’ve been making these potatoes ALL the time recently. Sometimes for lunch, sometimes as a side for dinner, and sometimes using leftovers for a quick breakfast hash. They’d also be perfect for meal prep! 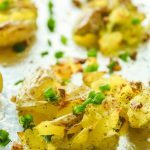 This smashed potato recipe is beyond easy! 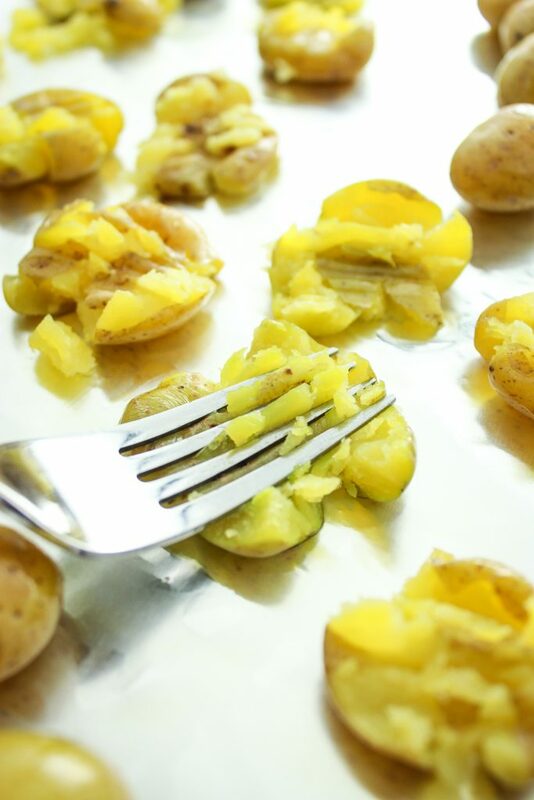 Use mini potatoes or yukon golds to achieve a buttery taste with the savory garlic. Vegan and gluten free. In a large pot, bring 8 cups of water to a boil. 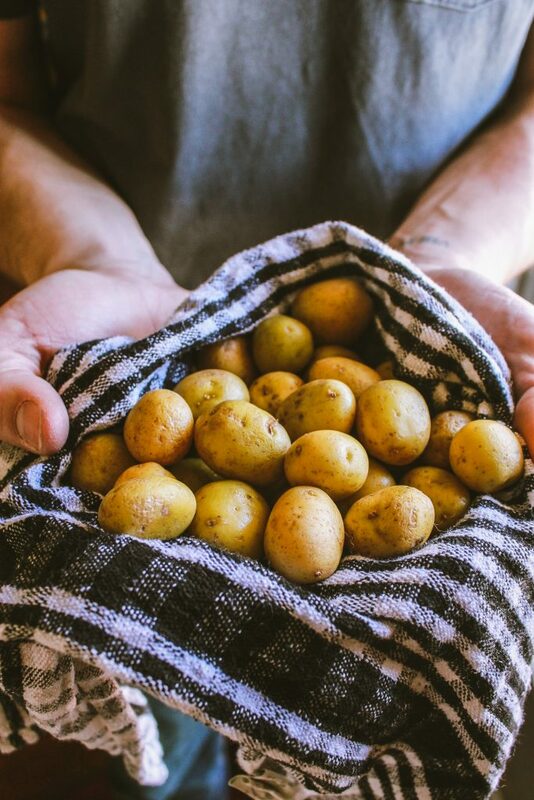 You may need more or less water depending on the size of your pot – you need enough to cover the potatoes and let them move around while boiling. Once boiling, carefully add the potatoes to the pot. Boil 8-10 minutes or until fork tender. Drain the water from the pot and allow the potatoes to cool for a few minutes. Line a baking sheet (or two!) with aluminum foil or parchment. If using foil, spray lightly with olive oil or cooking spray. Arrange the potatoes on the sheet and use a fork to “smash” the potatoes. Drizzle with olive oil and sprinkle minced garlic over top. Sprinkle with salt and pepper. 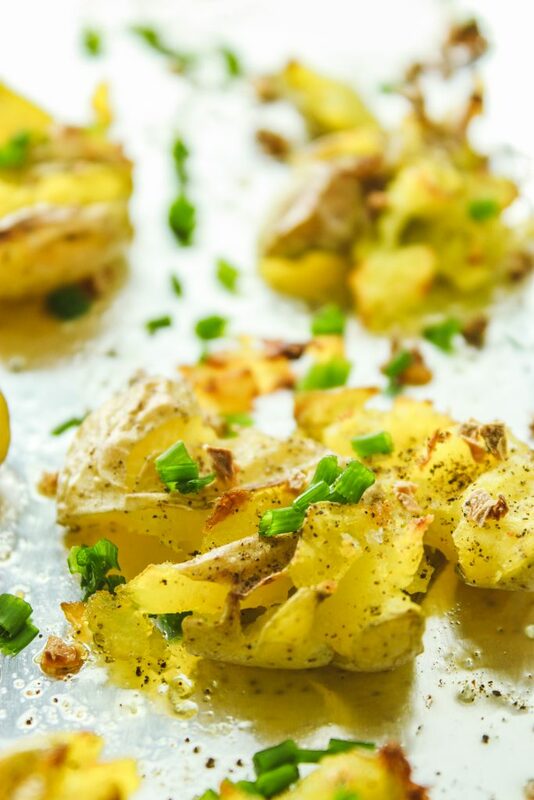 Place in the oven for 8 to 10 minutes until potatoes are golden brown and edges are crispy. *We found mini potatoes at Trader Joe’s and at our local supermarket. 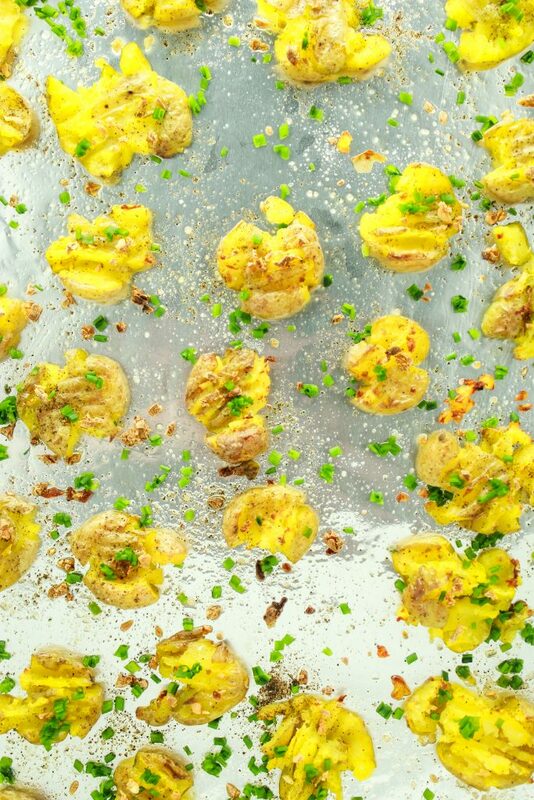 *If you can’t find mini potatoes, just opt for regular-sized yukon golds instead. Slice them into halves or quarters before boiling so they will cook more quickly.